1. 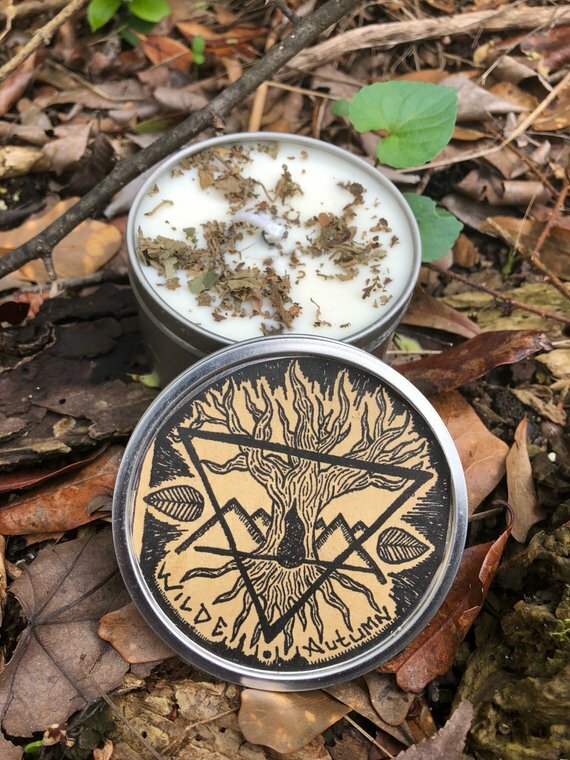 Element Candles by Wilde Autumn Apothecary. 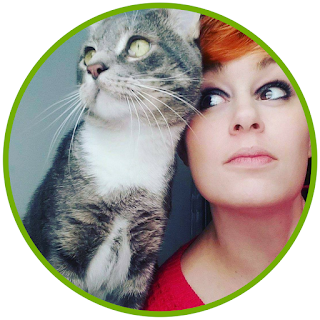 I had the pleasure of meeting Caundace at Atlanta Pagan Pride this year, and I bought several of her products. Her candles are great, especially the 1936 which smells like roses, and I enjoyed her 1936 essential oil perfume, even though the scent doesn't last all day. The Element Soy Candles are a great gift addition for the witch in your life. 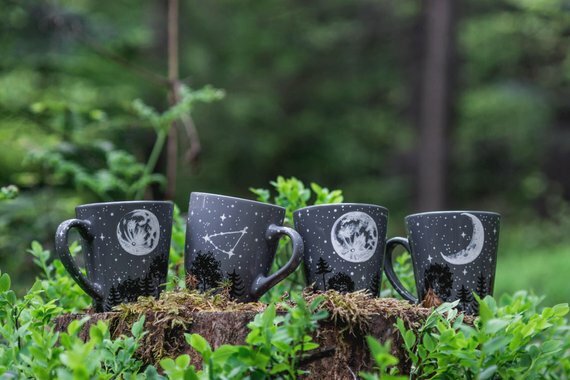 Each of the elements is represented in a separate candle for just $10 each and they burn for a long time. This is a great way to represent the elements on your altar or they can be used during specific spells and rituals to invoke the element you desire. Either way, whatever you buy from Wilde Autumn will be well worth the money, and the witch in your life will be thrilled with the gift. (Please note there is a typo in the shop. I believe "wind" is supposed to be "fire" based on the product description). 3. Modern Herbal Pendulum Board by Positively Mystic. 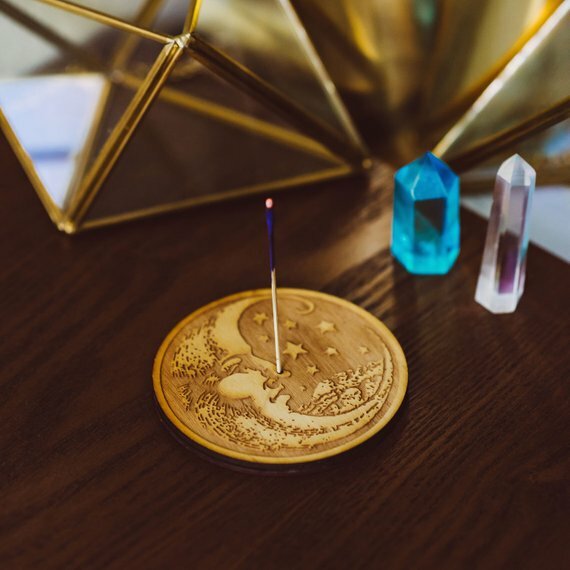 Okay, is this not one of the prettiest pendulum boards you have ever seen in your life? Yeah, that's what I thought. 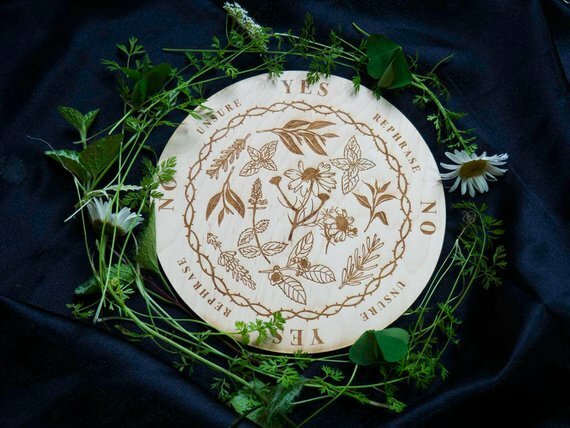 The design is laser cut onto maple, which is associated with travel, moon magic, and learning, making it a great pendulum board for asking questions. The herbal design is also perfect for hedgewitches who are natural herbal healers and spirit communicators. 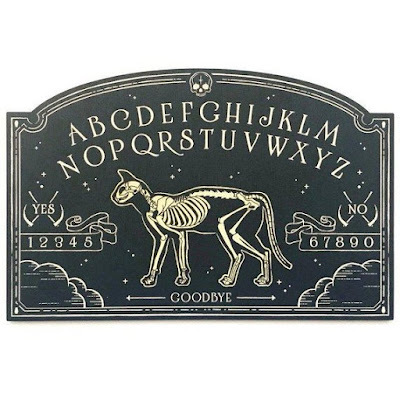 If the witch in your life doesn't have a pendulum board, you should probably get her/him one. The size of the boards ranges from 3.5 to 12 inches in diameter and range in price from $17-$45. There is nothing wrong with the mini board. In fact, it'll probably work best anyway! Hopefully, the witch in your life has a pendulum, but in case they don't, one of amethyst is a must to increase spirit connection. Why not throw in this amethyst pendulum from Lumina Crystals for just $4.50? 4. The Spirit World Oil by The Raven's Moon. 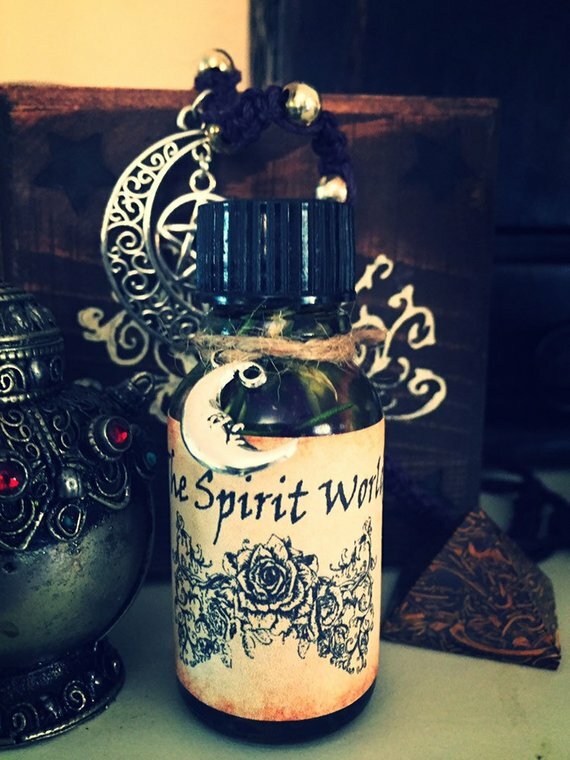 This little oil makes a great stocking stuffer for the hedgewitch in your life. It is specifically designed to help open the gateway to the Otherworld so it can be used during hedge riding or during other spirit work. Please note this oil is for anointing, not for a diffuser. At just $12.99 a bottle, its slightly pricey, but this little bottle will go a long, long way! 5. Welcome Witches Doormat by A Little Tinsel. 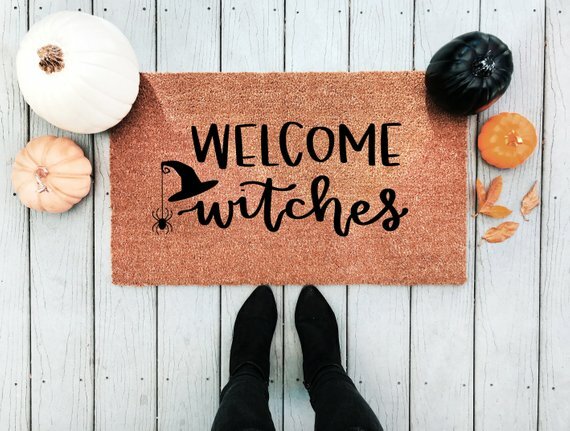 This doormat is cute af, and perfect for a homey witch looking to add a little magic to her/his front doorstep. The doormat measures 18" x 30" and is made of coir natural coconut fiber with a rubber back. Each doormat is handpainted, meaning there will be slight variations between each mat, but that's what makes each of them so great! This mat is more pricey than others at $40, but the personal touch and supporting a small business is worth the price. 8. 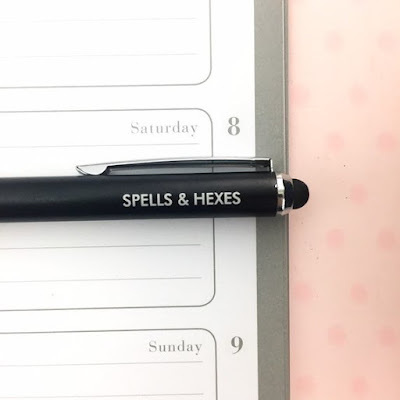 Spells and Hexes Stylus Pen by The Carbon Crusader. Have a tech-savvy witch in your life or just one that loves office supplies (yeah...that would be this witch), then this pen makes a pretty awesome stocking stuffer. It's $8 and when the ink runs out, she/he can still use it to play Candy Crush or draw funny faces on Snap Chat. 9. 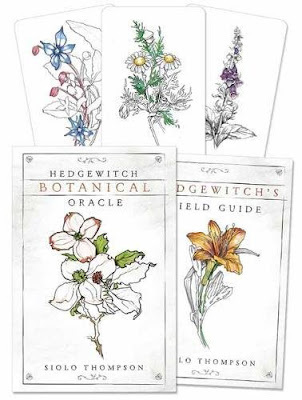 Hedgewitch Botanical Oracle by Siolo Thompson. This oracle deck is absolutely gorgeous. Every time I look at the cards I just melt. The deck features a variety of herbs and helps you learn traditional herb lore while seeking guidance from the spirit world. The deck contains 40 perfectly decorated cards at just $22.50. Even if the witch in your life has a tarot deck and/or Oracle deck, you should probably get them this one as well. 10. 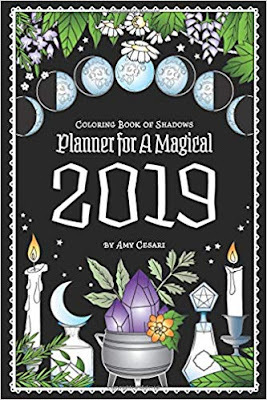 Coloring Book of Shadows 2019 by Amy Cesari. I have the 2018 planner and I LOVE it! I am sure 2019 is going to be just as awesome. 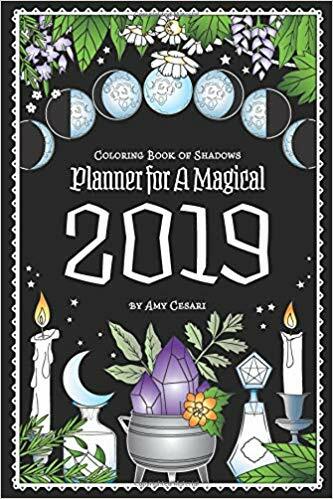 For just $11.69 the witch in your life can fully plan and track their magical year while fostering their inner creativity. 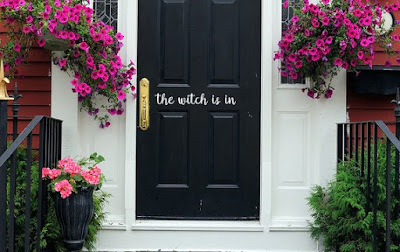 Its a great gift for Yule, especially for that witch in your life that already struggles to keep their life organized. And good news! This panner is also available in a southern hemisphere edition! 11. Moon Incense Burner by Most Amazing. Is this not the cutest freaking incense burner you have ever seen? Yeah, that's what I thought! Its just 3.5 inches, made of Baltic Birch, and just $8.50. I'm sure your witch burns incense and they could always use an additional holder. 12. Rose & Almond All Natural Nourishing Hand Cream by Bahari Blossom. Okay, so most of the items on this list have been unisex. This one is clearly for the witchy woman in your life, but honestly guys, you should want to smell like roses for your lady too and no one likes chapped hands. 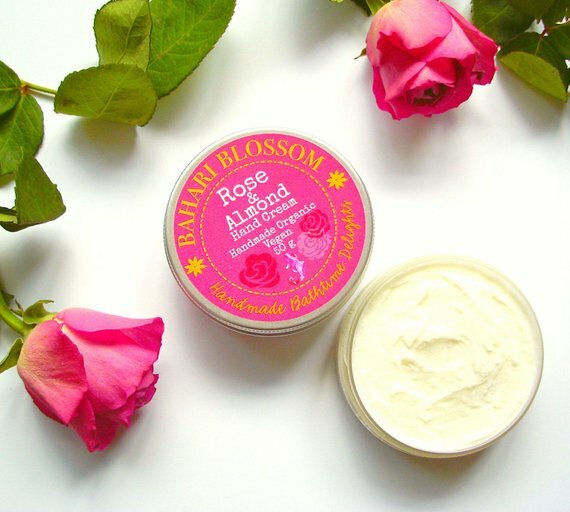 With cold, dry weather wreaking havoc on our skin, this nourishing hand cream will soothe even the most stubborn dry skin and the smell of roses will help conquer those winter blues and have you dreaming of spring weather. 50 grams costs just $6. 13. 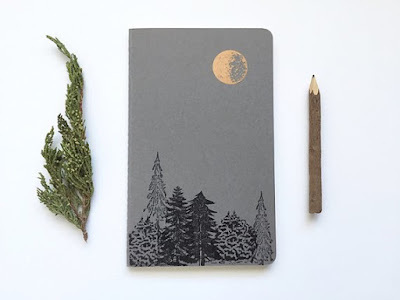 Moon and Trees Letterpress Moleskine Journal by Runaway Press. A witch can never have too many journals. You need one for a grimoire, one to be a Book of Shadows, one for dreams and divination and tarot and runes and hedge riding and recipes. I mean, the list is pretty endless if you think about it. This journal contains 80 lined pages and features a beautiful full moon over a forest of evergreens for just $15. It is available in several colors, including grey, green, black, and blue. I realize not all of the items are the list are cheap and for those of you on a tight budget, some of these wonderful items may not make the cut. 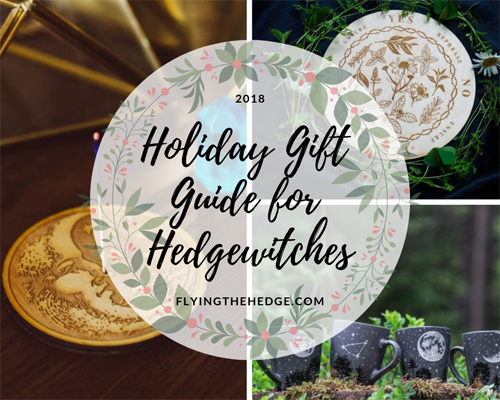 In the end, giving a gift should come from the heart, and anything you buy for the witch in your life this Yule will be greatly appreciated. These just happen to be a few of my favorite things this year, and I look forward to compiling another list next year! If you are in a pinch, crystals and herbs go a long way! I hope everyone has a wonderful holiday season!